At the Buggs Friends page you'll find the Fishing Tackle Shops that carry Buggs, the Fishing Guides that endorse and fish Buggs, and valuable links in the Fishing Industry who provide gear and information to help you catch more fish. Here are the shops that carry Buggs, including directions, websites, and contacts. We hope you'll pay them a visit and pick up a few Buggs. We appreciate their support and partnership. Fishing Tackle Unlimited - Houston, Texas Head to the FTU website. We're proud to be featured in the World's Largest Fishing Tackle Store, right here in Houston, Texas! At both locations, the Gulf Freeway store on the Southeast side of town and in the beautiful new location on I-10, you'll find anything and everything you could possibly need for your next fishing trip, freshwater or saltwater, inshore and offshore! Baad Marine Supply - Alvin, Texas Head to Baad Marine Supply's website. On your way to the Galveston area to fish? Here is your stop for everything you might need, right on Highway 6 between Alvin and Santa Fe. Brian and Anna stock a complete selection of Buggs. Stop in and pick some up! Swan Point Landing Fly Shop - Rockport, Texas Head to the Swan Point Landing website. Dave Hayward taught me to cast a fly a long time ago while working at Orvis Houston. Then five years ago he headed south along the coast to Rockport and opened an awesome fly shop. In addition to a extensive collection of our bonefish jigs, Dave carries all of the best in fly fishing gear, tying materials, and clothing. You'll love this shop! Bay Flats Lodge Pro Shop - Seadrift, Texas Head to the Bay Flats website. One of our favorite lodges in the world and the testing ground of the very first Buggs Fishing Lures, Bay Flats Lodge carries custom Bugg selections specifically geared to the middle Texas Coast! Chris and Deb Martin and their superb group of guides will put you on fish! Roy's Bait and Tackle - Corpus Christi, Texas Head to Roy's website. Corpus Christi, Texas is right in the middle of some of the best shallow water fishing in Texas. And Roy's is the place to find everything you need for your next trip, including a large selection of Buggs! Hook, Line, & Sinker - Harlingen, Texas Head to the HLS Facebook Page. Our favorite South Texas outpost for the best fishing gear! Go see joe Martinez for some local knowledge, all the gear you need, and a full selection of Buggs! Black Fly Outfitters - Jacksonville, Florida Head to the Black Fly website for one of a kind Bugg selections! Vaughn Cochran's Black Fly Outfitter is one of the most unique destination fly shops in the U.S. 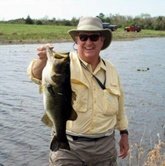 Serving North Florida, Vaughn and his staff outfit fishermen in their neck of the woods and for exotic destinations. They recognize the vital role that specialty tied jigs like Buggs play in the arsenal of fly and conventional fishermen alike. Here you'll find kits and specialty Buggs found nowhere else! Address: 11702 Beach Blvd., Suite 103 Jacksonville, FL 32246. Phone: (904) 997-2220. The Charleston Angler - Charleston / Summerville / Mt. Pleasant, South Carolina Head to The Charleston Angler website. We're honored to be available in the premier fishing and fly tackle shop in the Charleston area. There is some fantastic flats fishing in South Carolina, and the boys at The Charleston Angler can get you outfitted at one of their three locations. Southern Drawl Outfitters - Hilton Head, South Carolina Head to Southern Drawl Outfitters website. There's all kinds of saltwater fishing to be head in and around Hilton Head, and Captain Josh Boyle's Southern Drawl Outfitters has you covered! From fly fishing gear to Buggs to offshore fishing tackle, this shop also offers a stellar guide service. Stop by for your Buggs, other gear, and the best local knowledge. Pack and Paddle - Lafayette, Louisiana Head to the Pack and Paddle website. Next time you find yourself in Louisiana be sure and stop by the Pack and Paddle shop for an awesome selection of outdoor gear, including clothing, kayaks, canoes, and BUGGS! Here are the professional fishing guides who throw Buggs and can put you on the fish! Captain Thomas Barlow - Notorious Guide Service Head to the Notorious website. Captain Barlow is a Galveston area fishing guide. He can accommodate parties of all skill levels and fishing preferences, from drift fishing with bait to sight-casting to redfish and trout from his poling skiff. Thomas and Kaylin were early fans of Buggs, and are valuable partners. Captain Scott Null Head to the Scott's website. 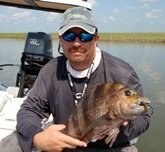 Captain Scott Null is a multi-talented Galveston area fishing guide. He runs a poling skiff into skinny water for sight casting opportunities with flies or lures. He writes for Texas Saltwater Fishing Magazine and is an avid photographer. Captain Jeremy Chavez Head to the Casting Tales Fishing Charters website. Captain Jeremy Chavez is a fishing nut, pure and simple. He got it bad! That translates into an awesome experience on the water, whether it's chasing huge redfish in South Louisiana in the winter or out of Galveston, Texas the rest of the year. He loves sight casting with Buggs, and we're excited to have him on board! Captain Sally Ann Black - Captain Sally's Reel Fun Charters Head to the Reel Fun Facebook Page. 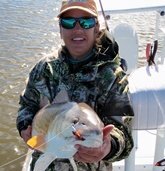 Captain Sally specializes in shallow water sightcasting in Rockport, Baffin, and the Upper Laguna Madre. She runs kayak trips and sight casting trips from her new Curlew poling Skiff. She provides valuable feedback from the middle coast. Captain Ron Matson - Reel 'N' with Ron Guide Service. Phone 361-727-0422. Cell 361-790-3845. Ron runs trips out of beautiful Rockport, Texas. He can accommodate all skill levels in his roomy bay boat. We first met and fished with Ron at the Rockport Spring Fling. We became fast friends, and appreciate his partnership. Captain Doug Stanford - Pirates of the Bay Charters Head to the Pirates of the Bay website. Captain Stanford and his son Brad runs trips out of Rockport, Texas. They offer inshore and offshore trips, and can accommodate all skill levels. They are enthusiastic and encouraging, and do their best to make their trips fun. Captain Steve Utley - Blue Heron Adventures Head to the Blue Heron Adventures Facebook Page. Captain Steve Utley guides shallow water enthusiasts from his flats skiff or by kayak out of Corpus Christi, Texas. He guides fly fisherman and light tackle fishermen alike, and was on board with Buggs the minute he saw them. He's also completed the Wildlife Guide Certification program and has extensive knowledge of the abundant wildlife. Captain Joseph Prado - Ultimate Flats Fishing Call Captain Joseph Prado at 956-357-1301 to book a shallow water trip in the Lower Laguna Madre. Joe is an enthusiastic young guide from Harlingen who grew up flats fishing with artificials. He loves fishing with Buggs and will put you on the fish. Go with Joe! Dee Kaminski - Reel Kayak Fishing Head to the Reel Kayak Fishing website. We're super excited to welcome Dee to the Buggs Team, as she brings a wealth of knowledge and enthusiasm for Inshore Kayak Fishing on Florida's Space Coast and Treasure Coast. She specializes in trips along the Indian and Banana Rivers, Sebastian Inlet Area, Mosquito Lagoon, and Ft. Pierce area. She also holds the distinction of catching the first tarpon on a Bonefish Bugg! Captain Daniel Snapp - Grassy Flats Charters Head to the Grassy Flats Charters website. Captain Daniel Snapp called me the other day and was super excited about throwing Buggs and wanted some heads so he could tie his own. I think we might be related somehow. Plus he specializes in fly and light tackle fishing trips out of Panama City, Florida! Head to the Blue Mudd Charters. Captain John West guides out of New Orleans for trophy redfish. He specializes in fly fishing and light tackle trips, and loves to sight cast with Buggs! We're glad to have John on board! Captain Charlie Crue - Channel Edge Charters Captain Charlie Crue guides trips along the beautiful Northern Massachusetts coastline. Charlie is a valuable resource as we develop fishing lures to target striped bass, and he's caught some impressive fish already! Captains Jim Edenfield and Jerry Boaen - Bendarod Fishing Charters Captains Jim and Jerry fish out of Savannah, GA. They run trips year-round, and have been using Buggs from the beginning. We appreciate their feedback and partnership from the Southeast Coast. Head to the Stillwater website. Captain Jeremy fishes the Mississippi Gulf Coast, and whether wade fishing or fishing out of his Hydra Sport, you can bet he'll put you on some fish! He's a big Buggs fan ever since we fished with him in May of 2012. Here are Fishing Industry links, the best gear and information we know of to help you catch more fish! Midcoast Products - The Finest Popping Corks on the Water Head to the Midcoast website. Lane and Glynn have been great encouragement every step of the way. They produce an awesome selection of fishing corks. Look for them in your local tackle shop. Texas Kayak Fisherman - Fishing Forum Head to the TKF website. The TKF forum is full of useful information for kayak and shallow water fishermen. It's free to sign up, and we encourage you to contribute to the online community. Tail Tail Signs Blog - Sonny Mills Head to Sonny's blog. Sonny is an accomplished kayak fisherman and writer who fishes the Galveston Bay complex and tournaments up and down the Texas Coast. His blog is a great read for anyone who wants to sharpen their marsh fishing skills. Saltwater Fishing Texas - Great source of information for saltwater fishermen. Head to the SFT website. 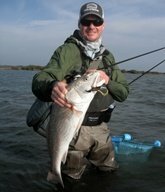 Here is a comprehensive website for saltwater fishing in Texas, including tips on gear, tackle, and how to find fish. Jig Craft - Forum for Tied Jigs that offers great advice and comaradarie. Head to the Jig Craft website. Jig Craft is a cool forum full of jig and fly tiers. The vibe is great, and the advice is plentiful. Thanks for visiting the Buggs friends page. We'll keep this updated as we add retail partners, fishing guides, and new links.